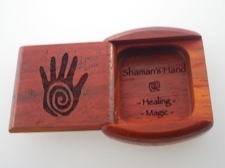 This finely crafted sliding top box of Paduak, an African hardwood, is engraved with a Shaman's hand petroglyph and the words Healing and Magical. 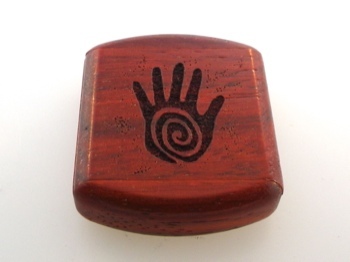 Measures 2 x 2 x .5 inches. Made in USA.